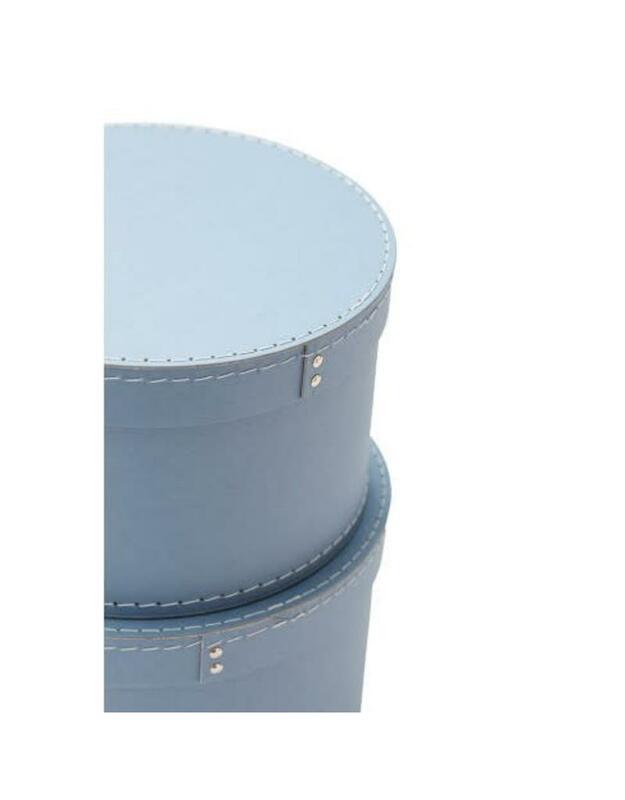 A set of two spacious storage boxes in a stylish round design with detailed seams. High quality cardboard with a nice texture. 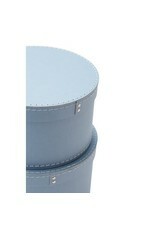 The boxes come in two sizes and can be easily stored in one another or stacked together. 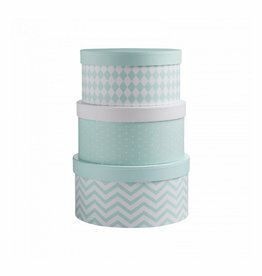 Perfect for keeping the child's room organized. 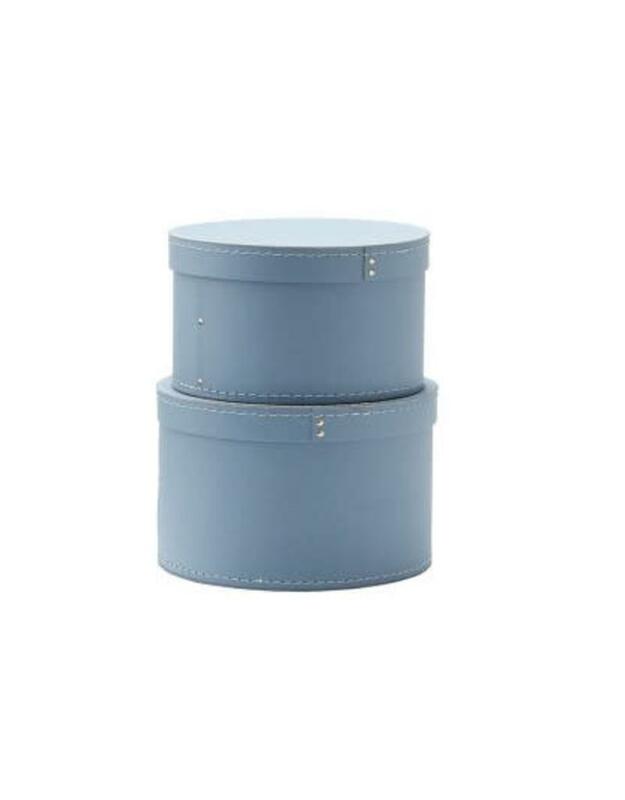 A set of three storage boxes in a stylish round design. High quality cardboard with a nice texture. 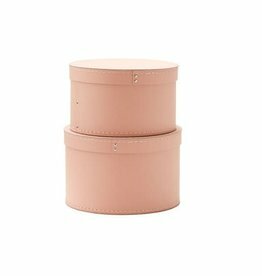 The boxes come in three sizes and can be easily stored in one another or stacked together. 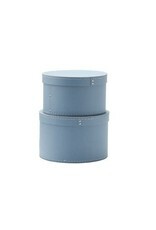 Perfect for keeping the child's room organized.